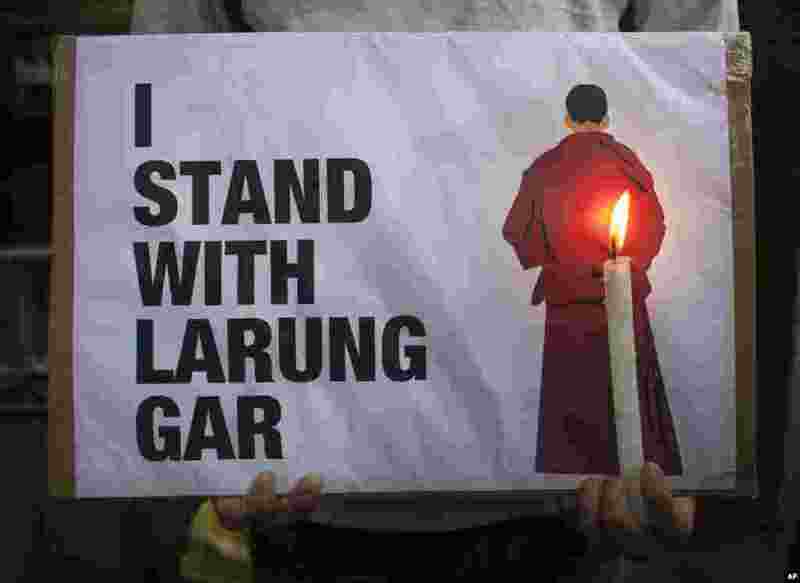 1 1 An exiled Tibetan holds a placard as he participates in a protest in Dharmsala, India, against the demolition of buildings in Larung Gar by Chinese authorities. Larung Gar is an area in eastern Tibet housing Buddhist institutions and thousands of monks and nuns. 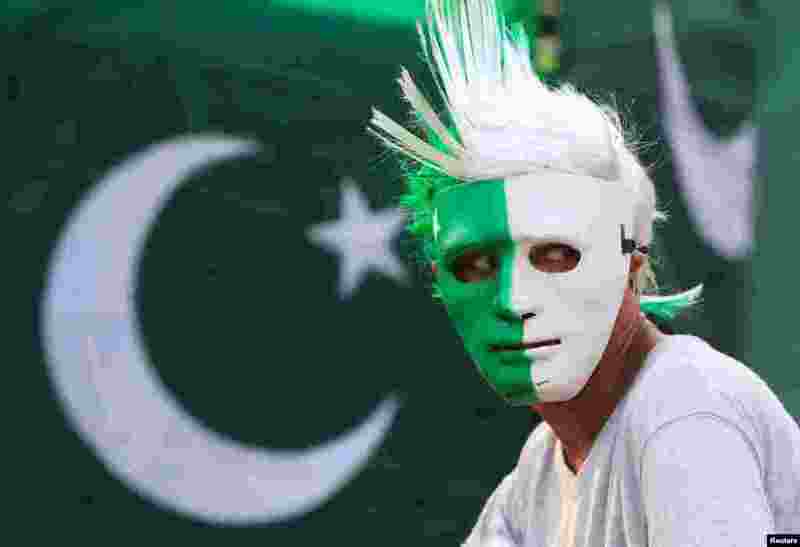 2 A vendor wears a mask with the colors of the Pakistani flag at a roadside stall in Islamabad as people prepare to celebrate the country's Independence Day on August 14. 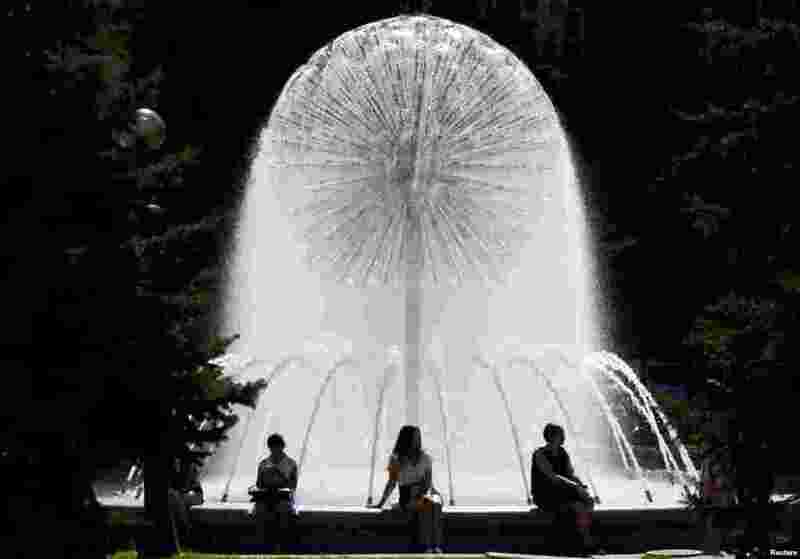 3 People sit next to a fountain in central Kyiv, Ukraine. 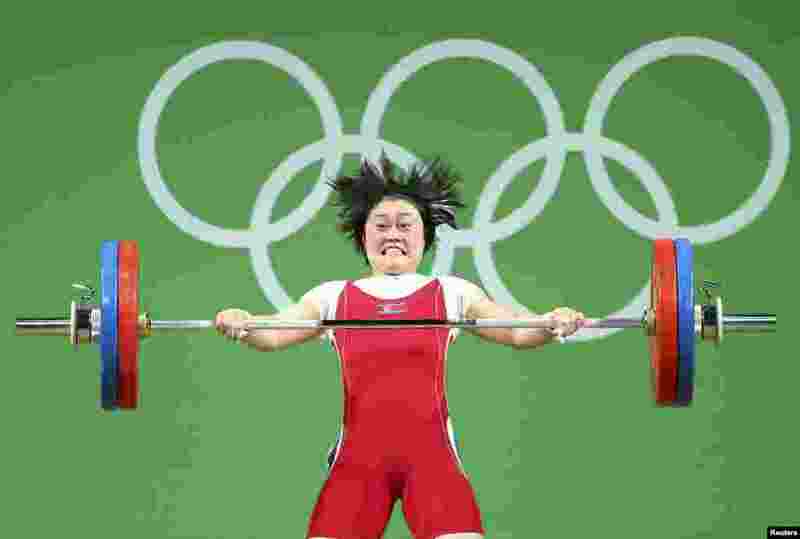 4 Choe Hyo Sim of North Korea competes in the women's 63kg weightlifting final at the Rio Olympics in Rio de Janeiro, Brazil, Aug. 9, 2016.